Fluttering Hummingbirds look for a mid-day snack. 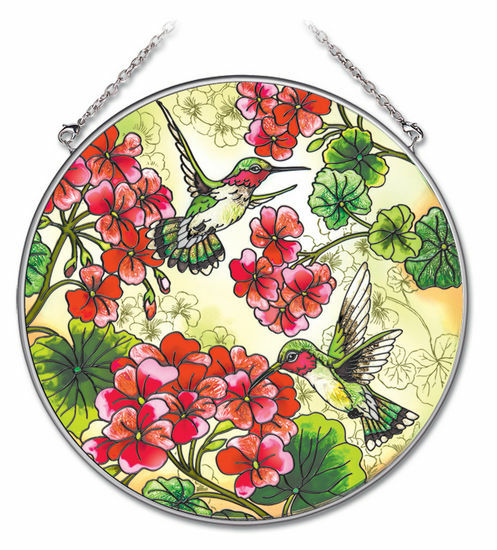 This beautiful stained glass hummingbird suncatcher will brighten any window or room. Amia stained glass suncatchers include hand painted ripple glass with removable chain.